Encore! Tulsa: Two Weeks 'til Opening Night! 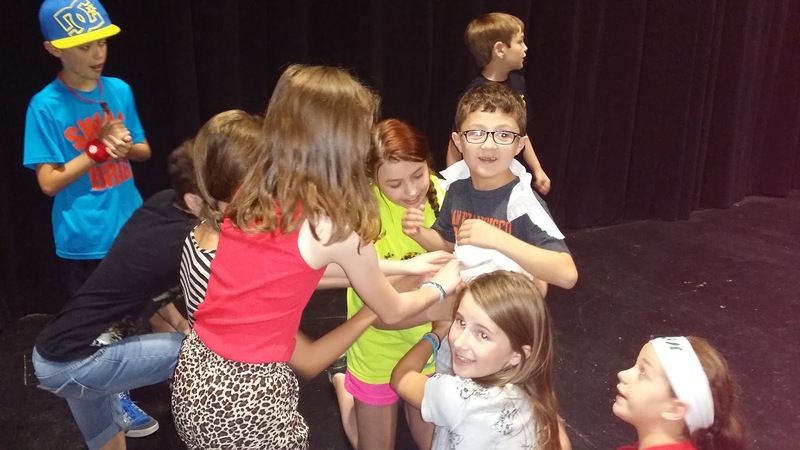 The first week of our Peter Pan summer camp, Swashbuckling Summer Adventure, has ended. 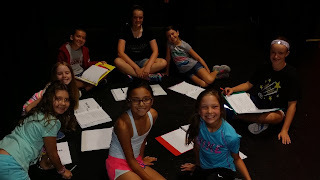 Check out today's blog post to see the cast list, plus some photos and updates of the camp's progress! On Tuesday and Wednesday, our students auditioned for our upcoming production of Peter Pan! Every child received a fun role in the show. 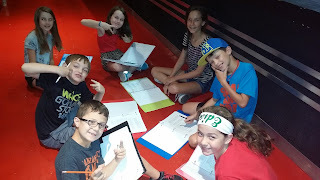 On Thursday and Friday, the young actors began studying the play and learning character development techniques. Here are some photos from the various groups as they discuss their character traits and created their backstories. Peter Pan and the Darling children discussed what animal their character most resembles in relation to their movement and physicality. They also thought about their relationships with their family and friends. The Natives and Fairies discussed what they love about Neverland Island and why they hate Pirates. Each Native decided what her role is in supporting her tribe, and the Fairies shared what they love to do for fun on the Island. The Pirates chose the physical and mental characteristics that make each of them unique: Poor hygiene, hunchback, a limp, a snotty nose... These kids love getting to be dirty, rude, uneducated pirates who desperately need a mother! The Lost Boys discussed where they came from, how they became Lost Boys, and why Peter named each of them the way he did. These rowdy children also shared their greatest fears and their favorite games to play on Neverland Island. After a few intense, fast-paced rehearsals to finish basic blocking for the entire show, we ended the week with Neverland Olympics! The Pirates, Natives, and Lost Boys competed in a series of games to encourage team work and enjoy a little friendly competition. 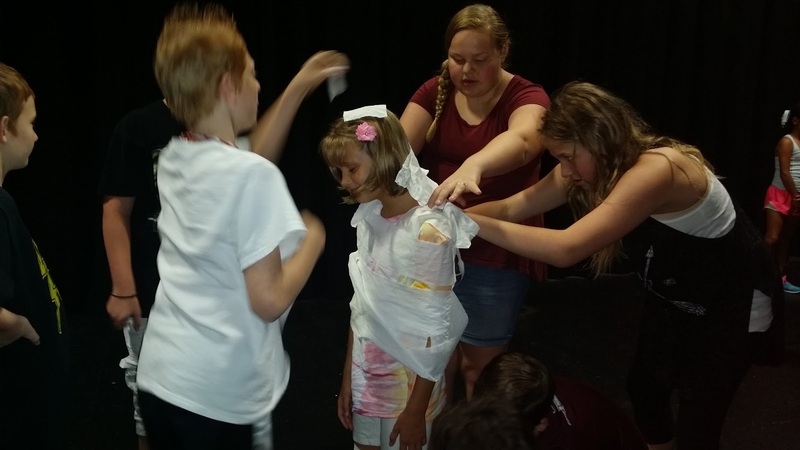 The kids played "Wendy, lady, be our Mummy!" 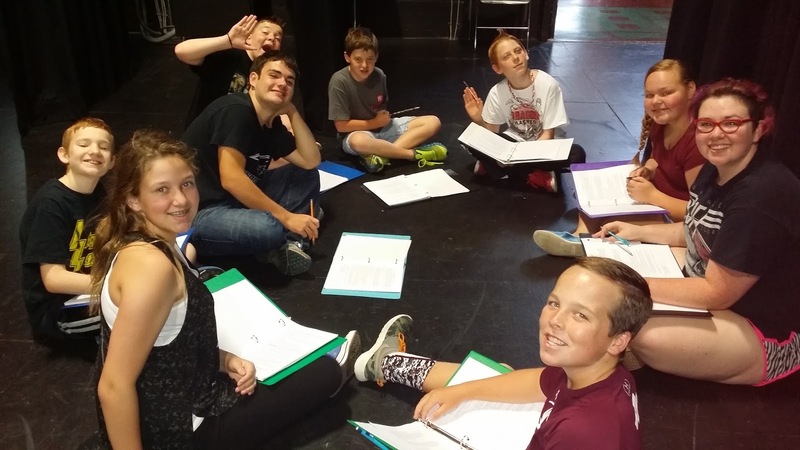 and "Circle of Life," then we ended the day with Peter Pan trivia to test how closely every actor had been reading their script. With a tie between the Lost Boys and Natives, Peter Pan (Taylor Terrell) led the Lost Boys to victory by accurately explaining "The riddle of Peter Pan's being." What is the answer, you ask? You'll have to see the show to learn for yourself and mourn for our tragic hero! 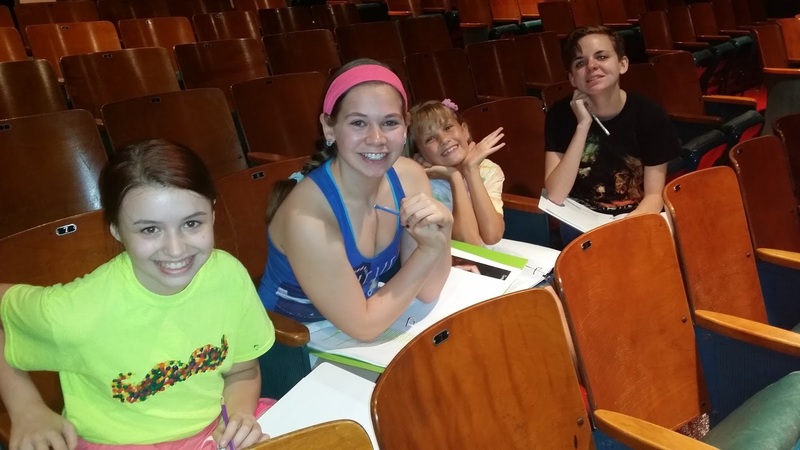 Peter Pan runs July 24-25 at Tulsa Little Theatre! Click here to purchase tickets for only $15, and come enjoy this swashbuckling adventure. And now, without further ado, we would like to introduce you to the cast of Peter Pan!